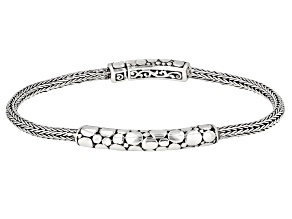 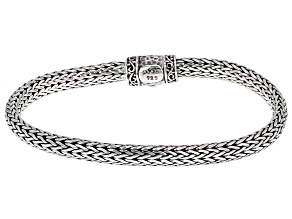 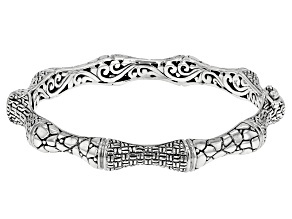 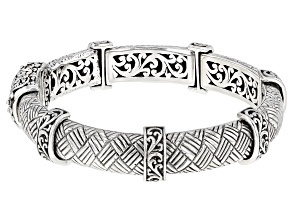 Sterling Silver Woven Link Bracelet. 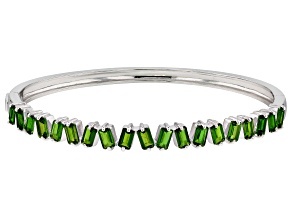 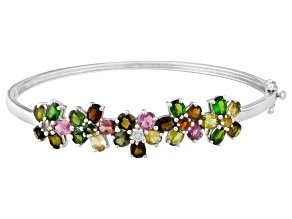 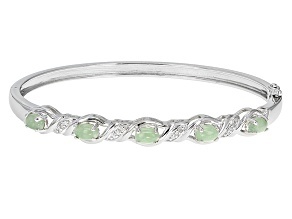 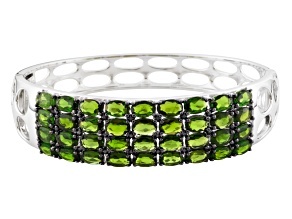 Green Russian Chrome Diopside Sterling Silver Bangle Bracelet 14.68ctw. 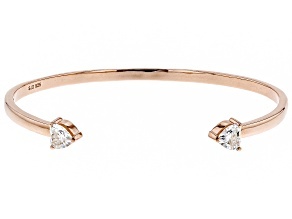 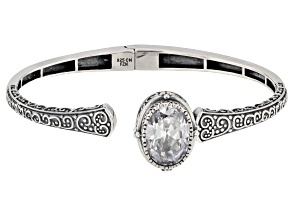 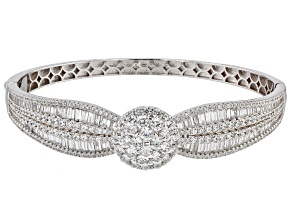 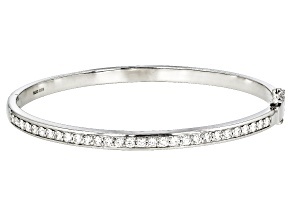 Moissanite Platineve Bracelet 1.74ctw DEW. 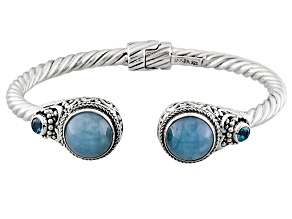 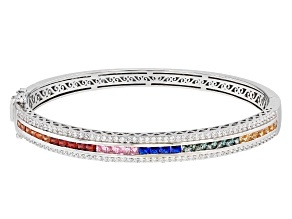 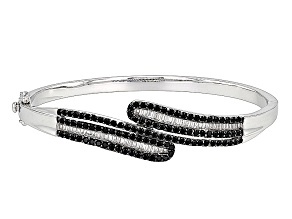 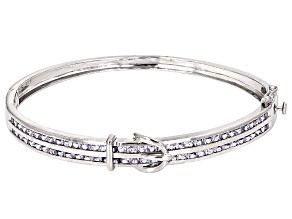 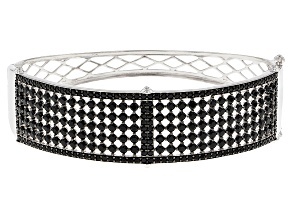 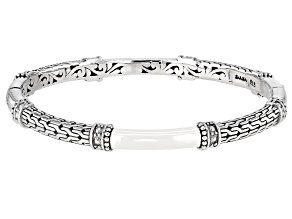 A fashion staple that will never go out of style, bangle bracelets are the perfect accessory for every occasion. 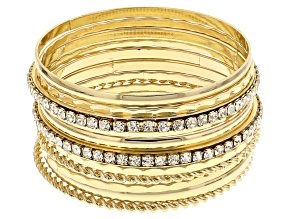 Bangles can be styled to make several versatile looks. 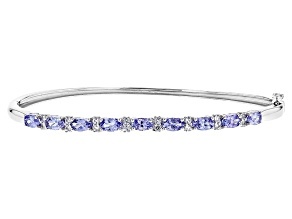 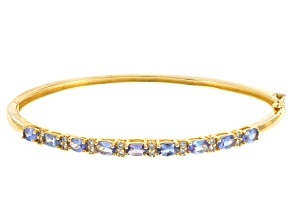 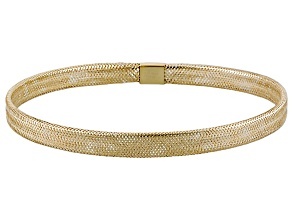 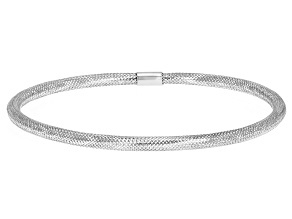 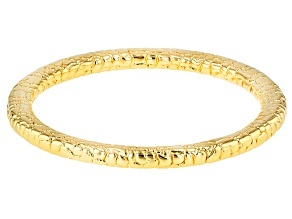 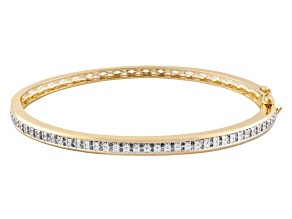 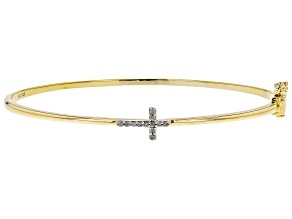 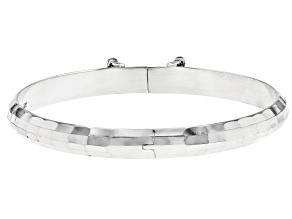 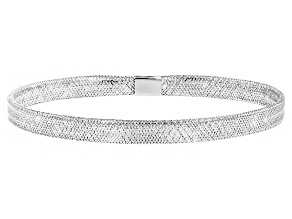 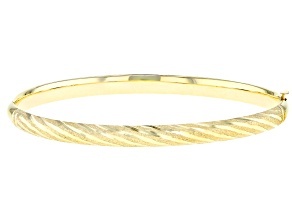 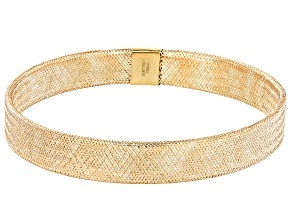 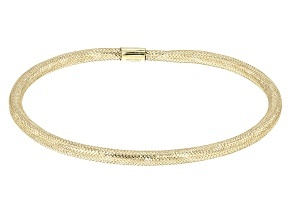 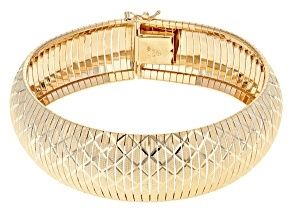 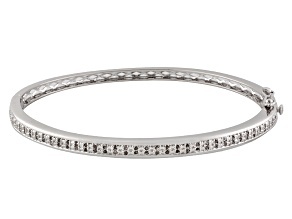 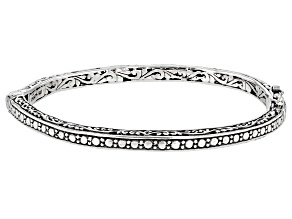 Wear a single bangle bracelet for a sleek and classic look or wear them stacked for a more unique and bold fashion. 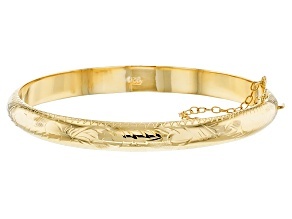 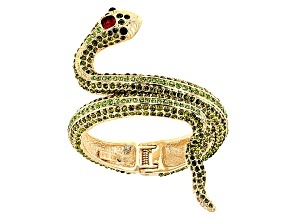 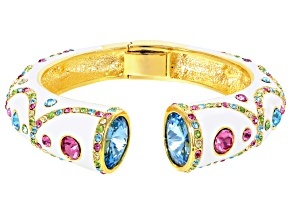 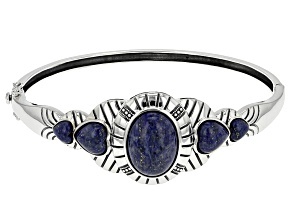 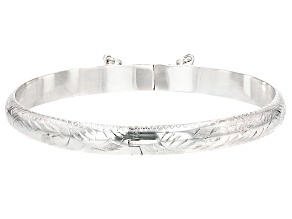 JTV offers a wide variety of bangle bracelets, from classic bangles to adjustable, hinged and cuffs. 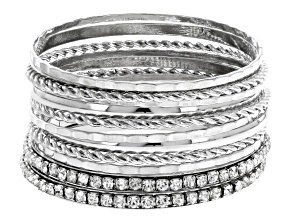 We also offer sets for those ready to jump into a stacked, daring look. 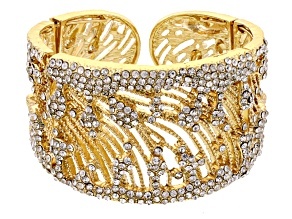 Whether you want to look elegant and chic or effortless and bohemian, JTV has got you covered! 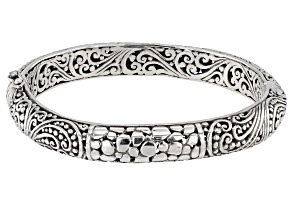 What is a bangle bracelet? 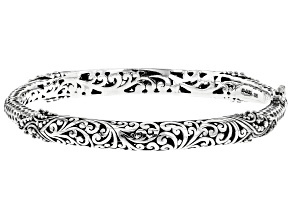 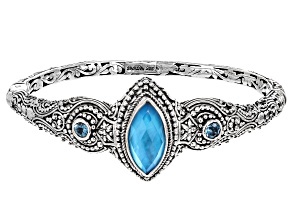 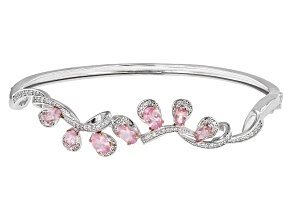 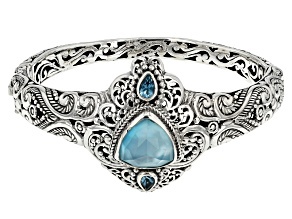 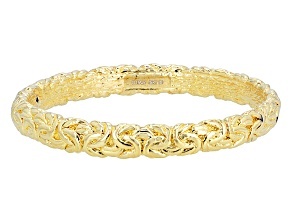 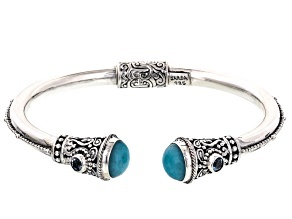 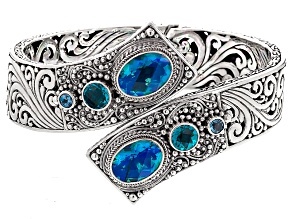 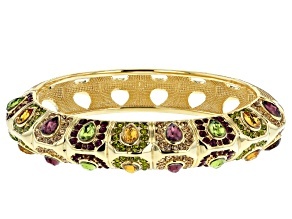 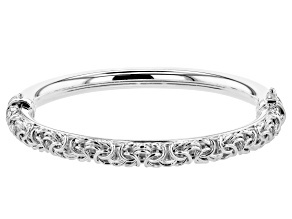 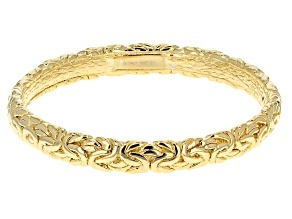 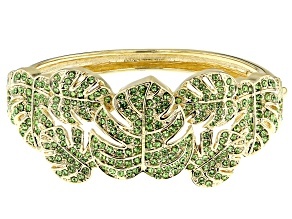 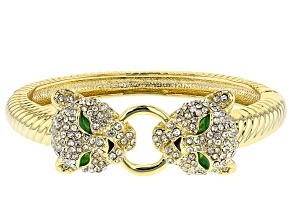 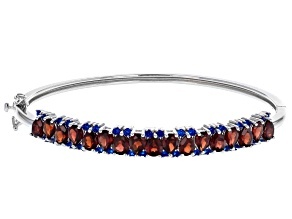 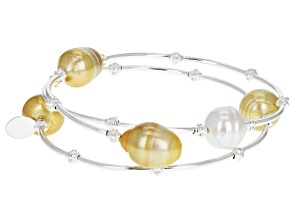 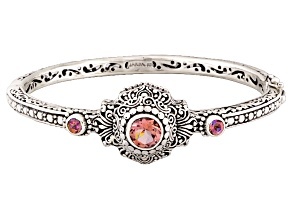 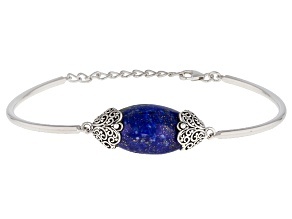 A bangle bracelet is a round bracelet that comes in many different styles, fits, and designs. 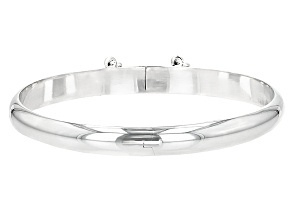 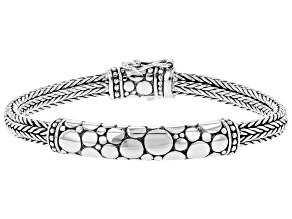 The standard bangle bracelet is a solid, round bracelet that could slide over your hand and be worn loosely on the wrist. 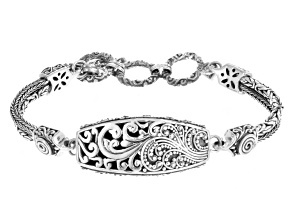 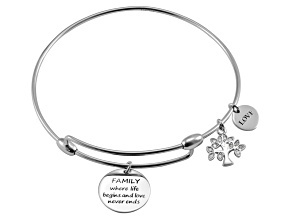 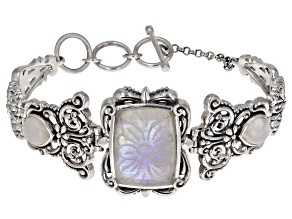 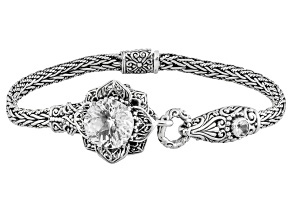 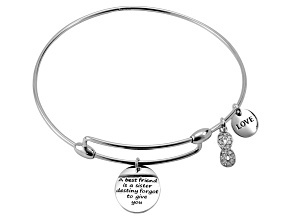 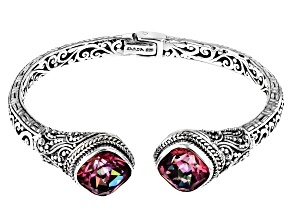 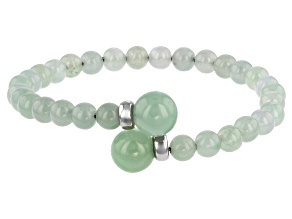 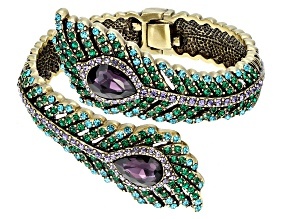 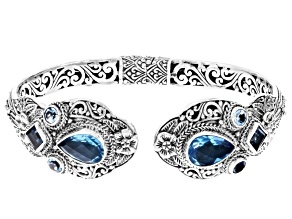 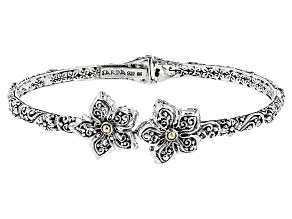 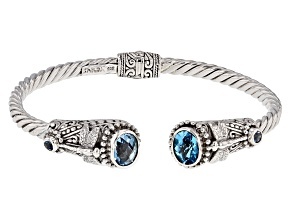 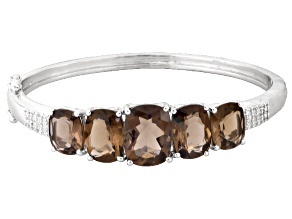 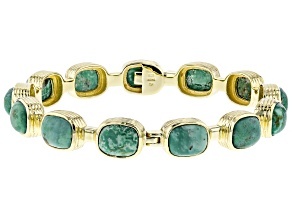 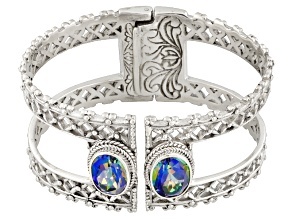 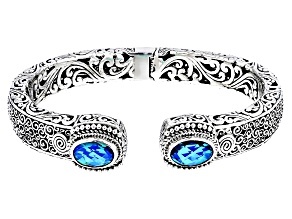 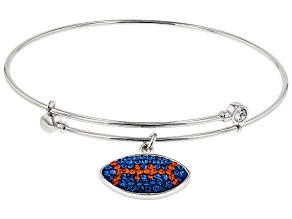 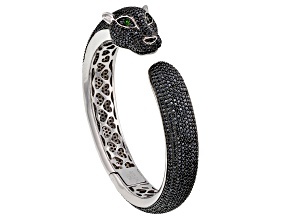 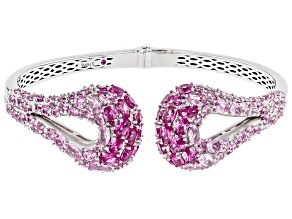 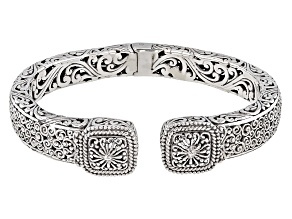 Other styles include adjustable bangle bracelets or bangle bracelets with clasps. 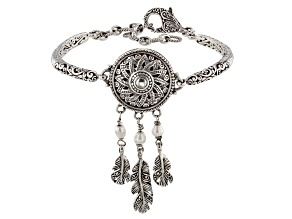 Here at JTV, we have an eclectic collection of bracelets featuring everything from a classic gold bangle to intricately carved silver adorned with colorful gemstones to adjustable bangle bracelets featuring various charms. 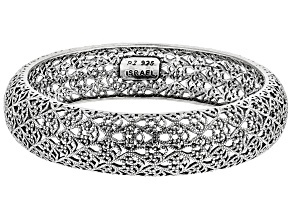 What is the difference between a bracelet and a bangle? 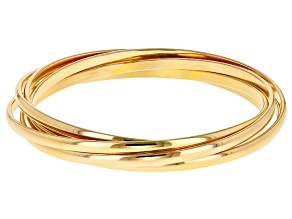 Bangle bracelets are solid pieces whereas standard bracelets are meant to be more flexible. 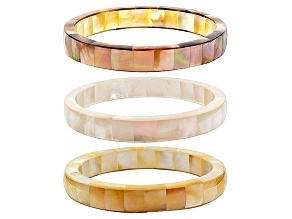 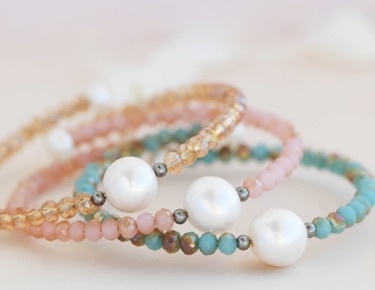 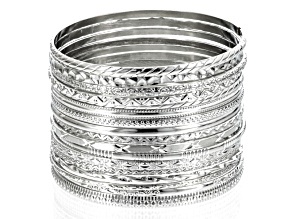 This makes bangle bracelets the ideal stackable piece. 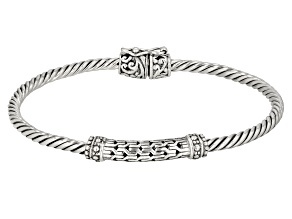 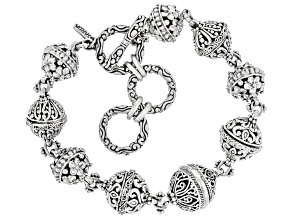 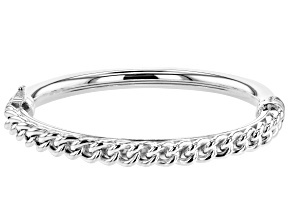 Since bangle bracelets are solid in design, they won't get tangled in a way that chain and tennis style bracelets would. 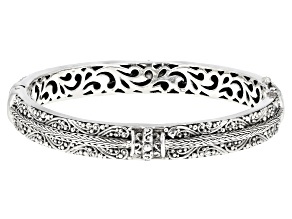 How many bangle bracelets should you wear? 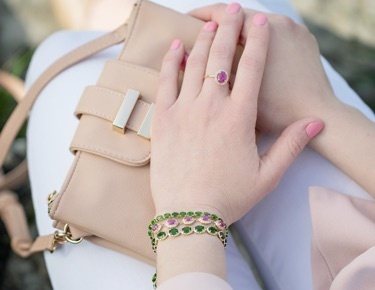 It depends on your outfit and what style you're trying to achieve. 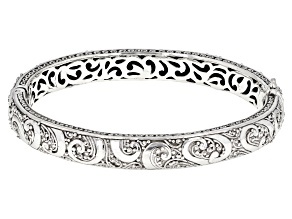 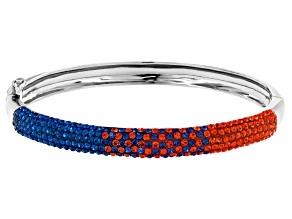 A single bangle bracelet can add a unique twist to a simple outfit of jeans and a t-shirt. 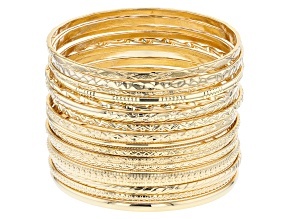 If you want to make a bold statement, you can mix and match and wear as much as 8 to 10 bangles on one arm. 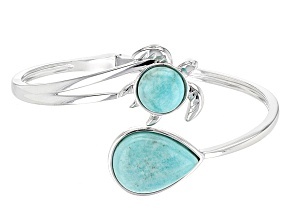 A bold bangle look pairs nicely with a flowing summer dress.